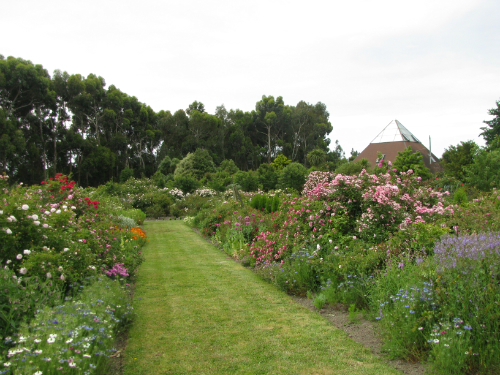 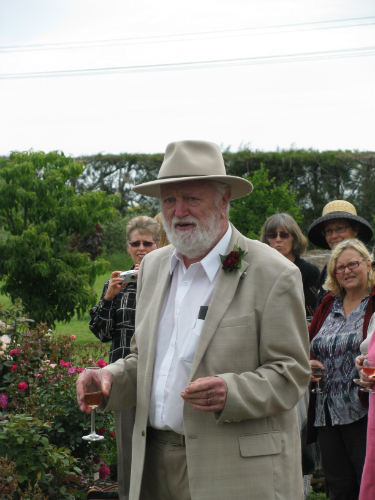 In 2005, Gary and Georgina Campbell bought the property now known as ‘Cheops’; an organic Feijoa Orchard with a perfect place for a large garden. 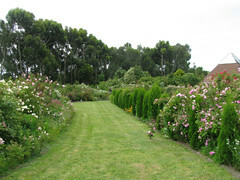 Many of the plants arrived by truck from their old farm, having been collected for over 20 years by Georgina, to create the garden which was begun in June 2005. The Hawke’s Bay climate and soils have helped the plants to thrive. 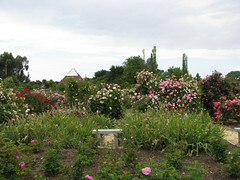 Many plants are propagated on site to fill the beds but also because no longer commercially available. 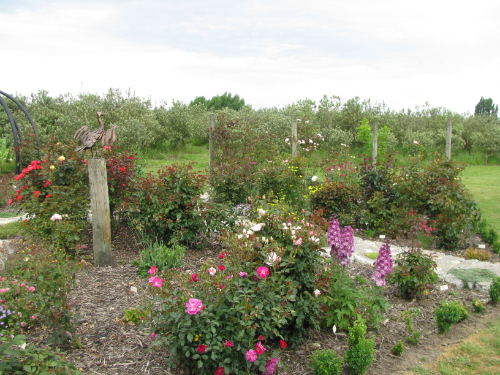 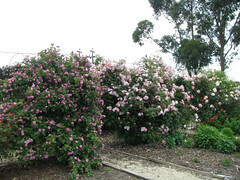 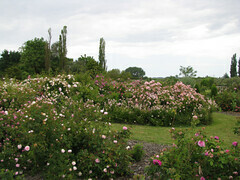 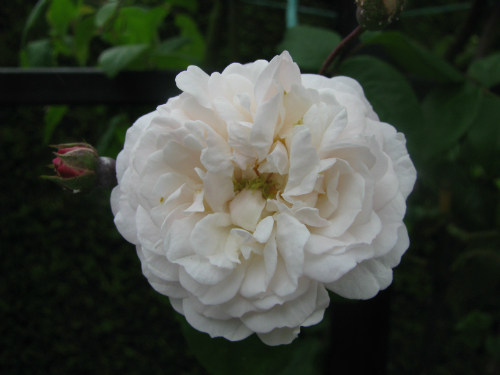 Roses are a feature with over 1000 varieties growing and about 2000 rose bushes. 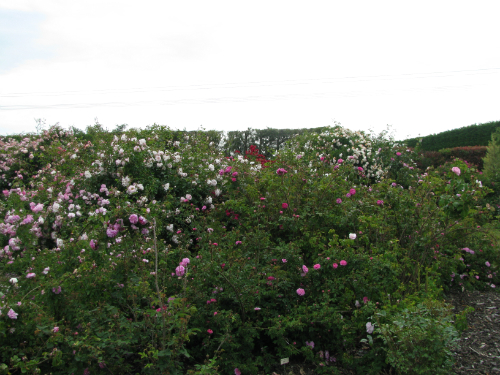 Heritage roses are grown to enjoy and conserve with a growing collection of modern roses as well particularly from our New Zealandbreeders. 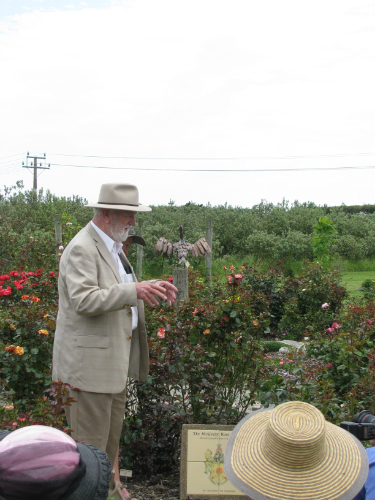 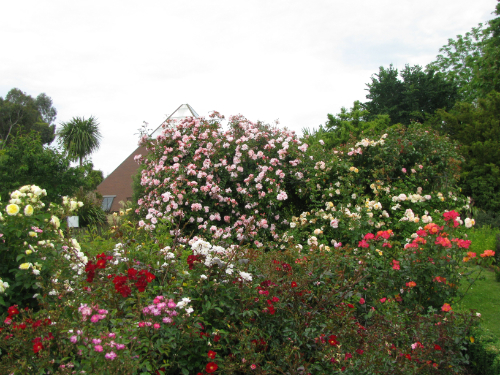 A special garden is ‘The McGredy Rose Garden’ where a world first collection of roses bred by the McGredy family can be enjoyed. The collection grows as roses hunted for turn up. 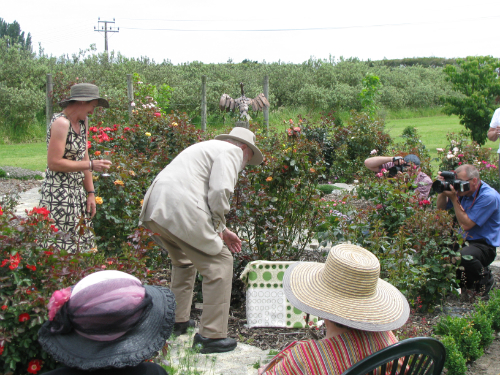 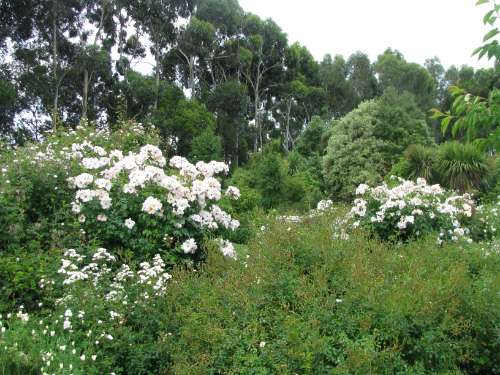 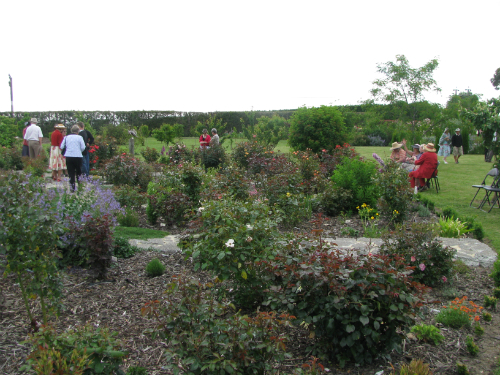 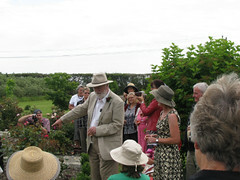 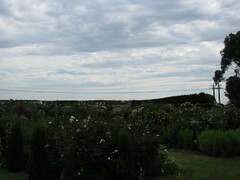 This garden was officially opened by Dr Sam McGredy IV on23 November 2009. 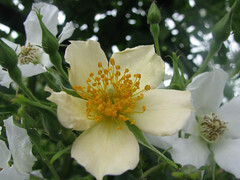 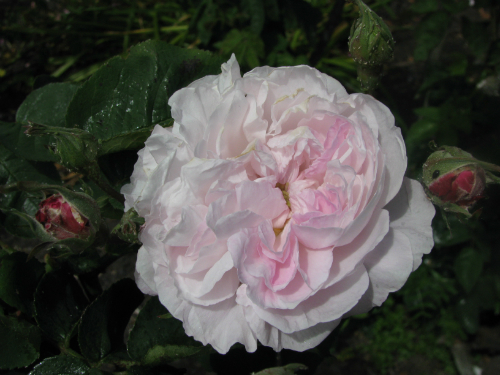 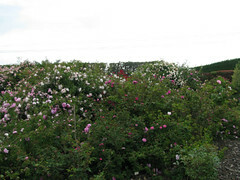 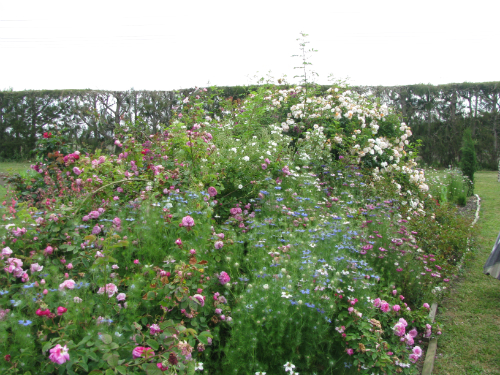 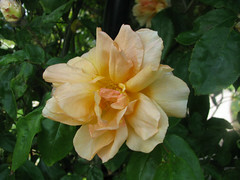 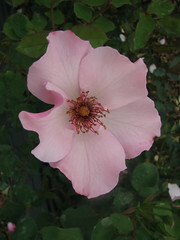 The roses are complimented by annuals, perennials, shrubs, bulbs, climbers and iris. 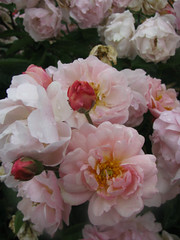 Many of these are older hybrids collected over the years and help enhance the garden through the seasons. 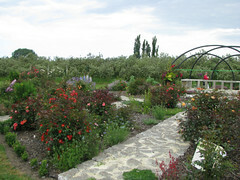 A pond already on the property has been developed with plantings in and around it, as well as establishing woodland plants nearby. Many more trees have been planted with under-planting now beginning to happen. 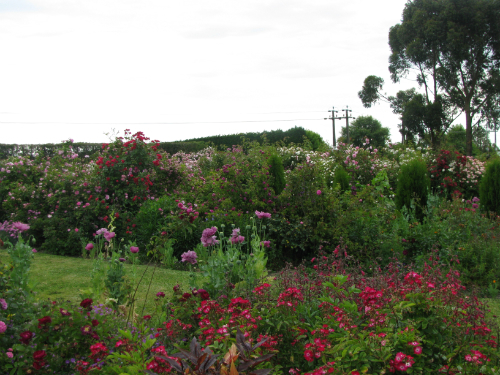 This is still a young garden with areas being established, reshaped or newly developed completely by Georgina. 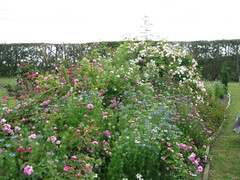 As with all gardens, changes will keep occurring. 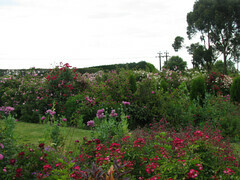 Our Nuhaka garden group would love to visit your rose garden.Could we have some information please.